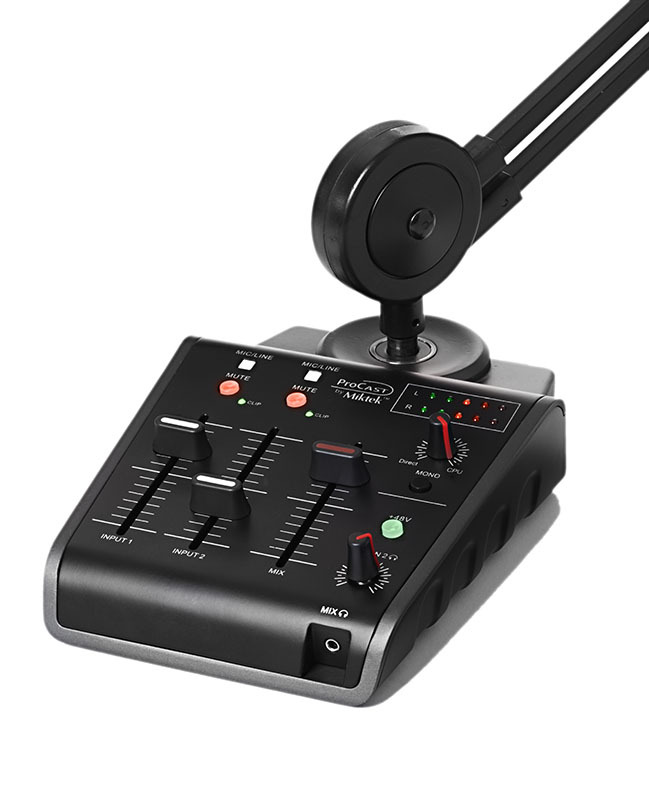 The ProCast SST’s mixer section offers two inputs, which can be used to connect mic or line sources. 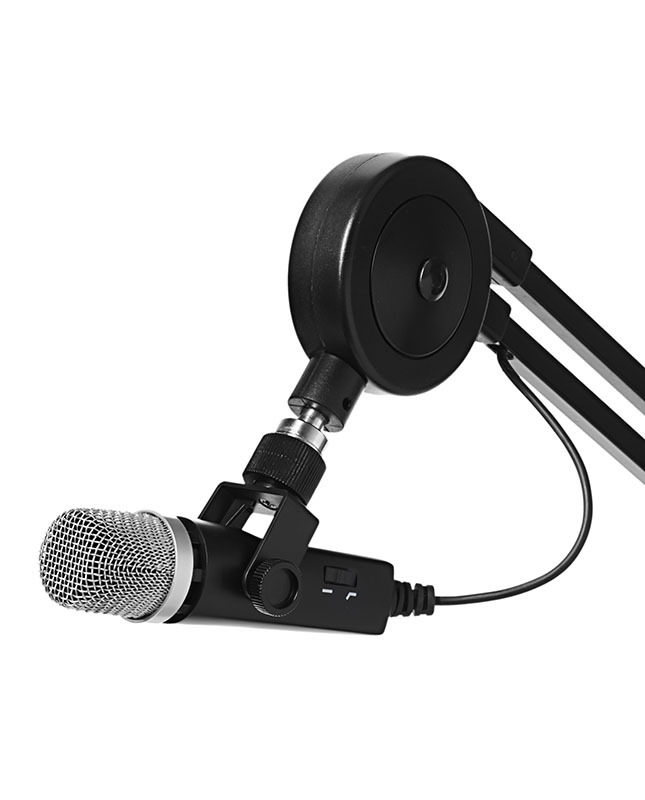 Channel 1 allows you to use the onboard condenser microphone or select the rear panel ¼-inch Instrument/Line level input. 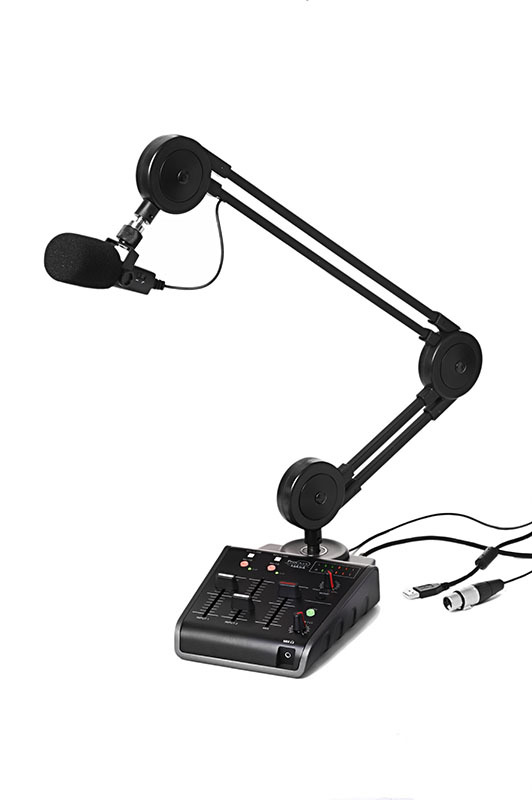 Channel 2 provides a rear panel mini XLR to connect a second microphone, or selectable rear panel ¼-inch Instrument Line level input. 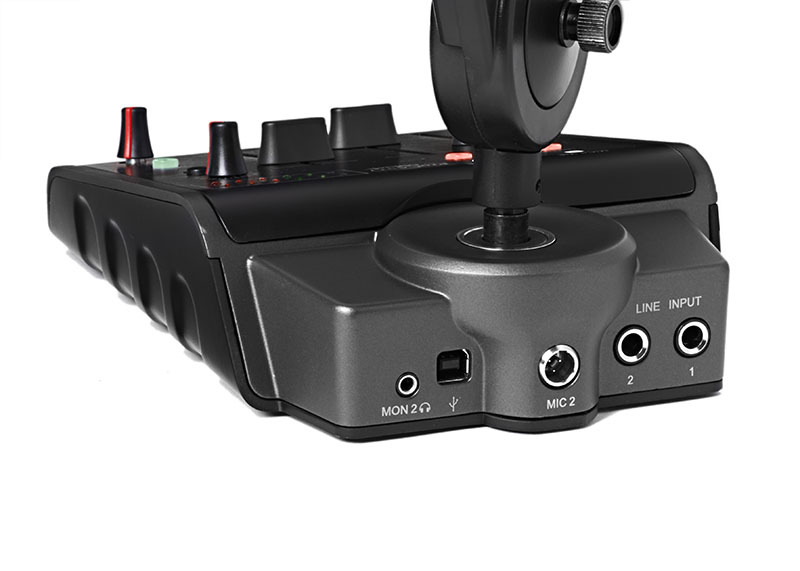 Each input features a Mic/Line switch, Clip LED, a 60 mm studio quality fader, plus Mute switch. 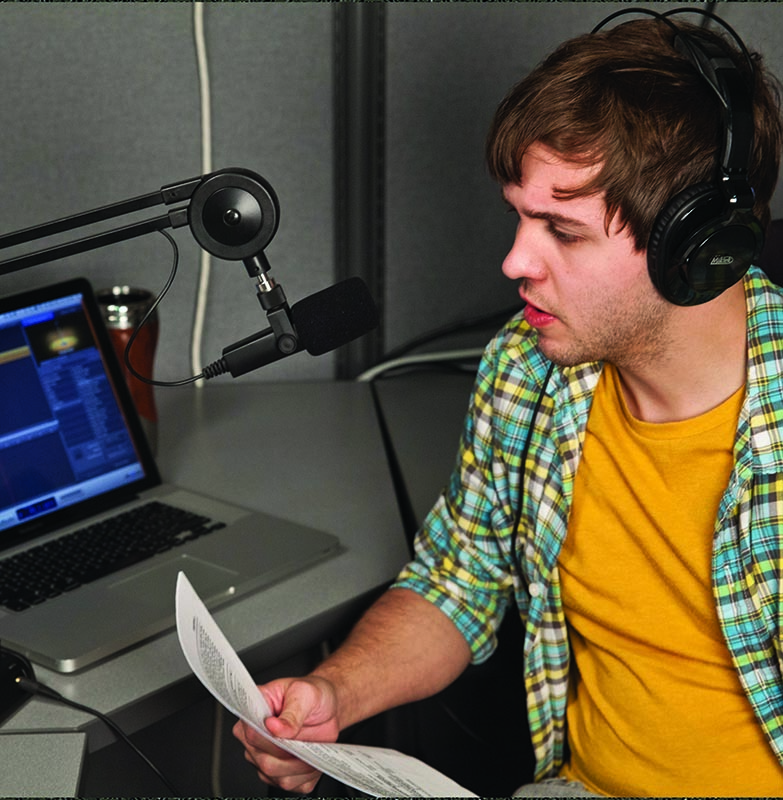 In addtion, there’s a phantom power switch to power an external condenser microphone. 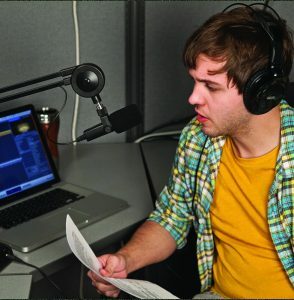 The ProCast SST provides no latency direct monitoring, which can be mixed in with the computer playback. 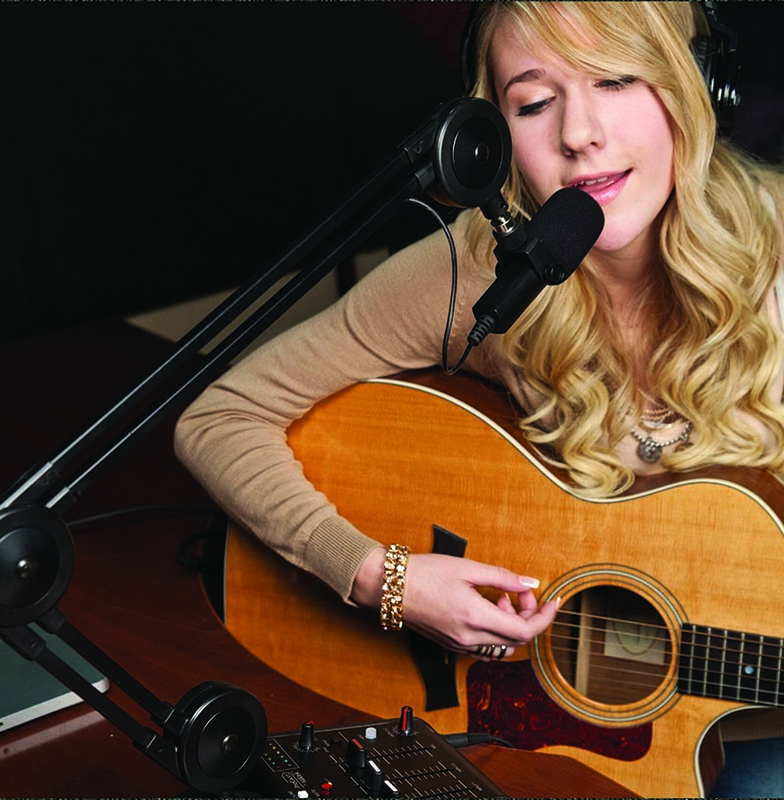 In addition, the SST has a second headphone output for producers or additional talent, or use the output to connect a set of control room studio monitors.